Modbargains can improve the handling, looks and feel of your Infinity G37 or Nissan 370z with Bilstein B16 PSS10 Coilovers. A set of Bilstein B16 PSS10 coilovers for the Infiniti G37 and Nissan 370z are the perfect way to lower your car while enhancing handling and looks. Bilstein B16 PSS10 Coilovers for the G37/370z have been developed with proper design focused on providing the correct valving and spring rates to ensure optimal performance, longevity and ultimate adjustability. Featuring 10 adjustable compression settings, you can set the Bilstein B16 to provide a great ride during the work-commute week while dealing with speed bumps, pot-holes and uneven pavement. That's great for daily driving, but what about the weekend? Simply adjust the knob on each coilover to instantly transform your suspension to firm and confidence inspiring handling, ready for precise canyon carving or track days. 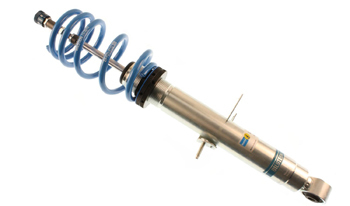 Representing quality, every set of Bilstein Coilovers for the G37/370z include a TÜV certificate-Proving that Bilstein products have passed rigorous tests and met specific safety guidelines. Most importantly, the B16 PSS10 coilovers feature a Lifetime warranty-ensuring that you will have consistent performance throughout the life of your car. 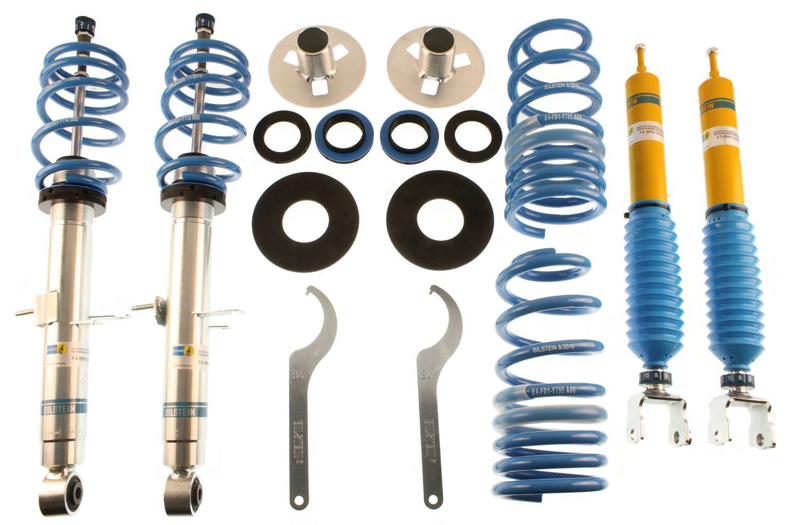 A coilover suspension basically gives you a matched lowering spring and shock absorber combination with the added benefit of adjustable ride height and spring rates through a moveable spring perch or perches. Coilovers are to your car's advantage by reducing unsprung mass, increasing suspension travel, and allowing the car to be corner balanced. In addition, coilovers offer a distinct advantage over lowering springs, since you can lower the car and still keep proper suspension travel-which will ultimately provide a better, more comfortable ride and increase the life of your coilover versus just using a lowering spring on your factory strut. Questions about the Bilstein B16 PSS10 Coilovers for the G37/370z? Our Modification Experts are standing by and available to help you, online or by calling 714-582-3330. ModBargains also offers expert installation and can install this upgrade for you. Call today!